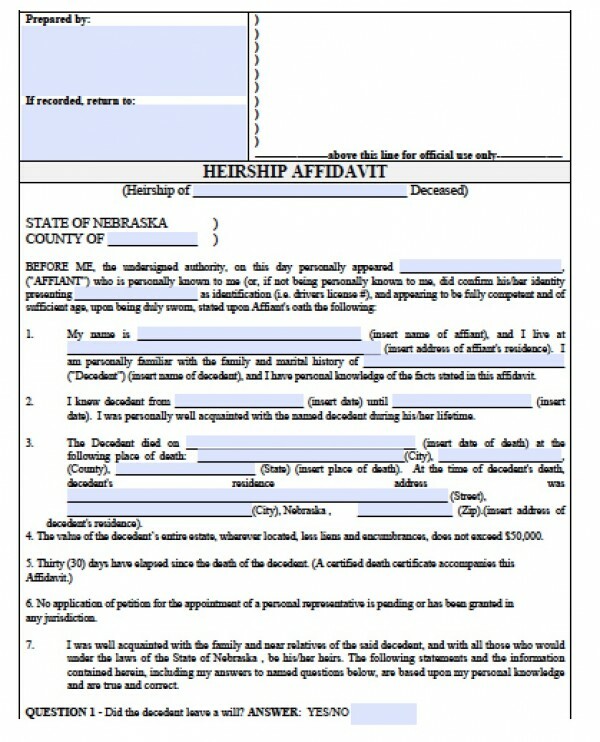 According to Nebraska Revised Statute §30-24, 125, successors such as family or spouses may file an affidavit of heirship to collect personal property owned by a deceased loved one. The value of the personal estate may not exceed $50,000, and includes bank accounts, vehicles, heirlooms, and debts owed to the decedent, such as final paychecks. 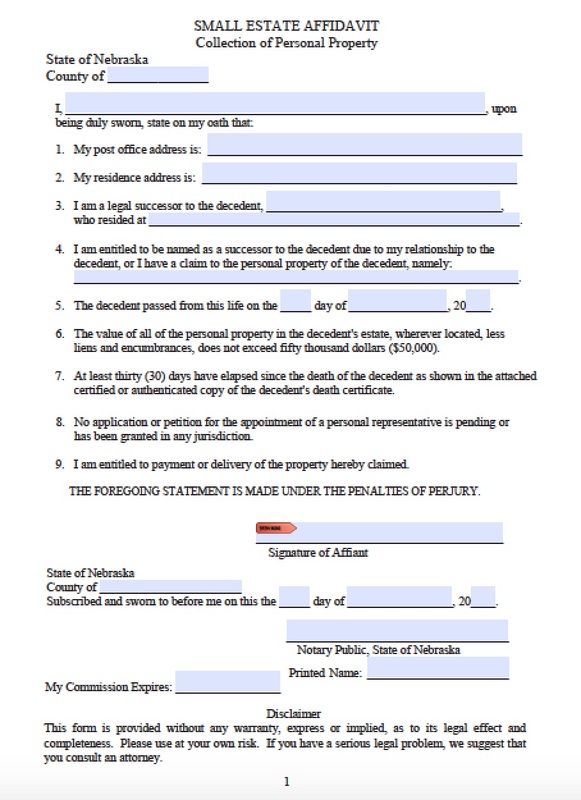 Successors may file the affidavit of heirship 30 days after their loved one passes, but have up to 2 years to file before the estate goes automatically to probate court for distribution.